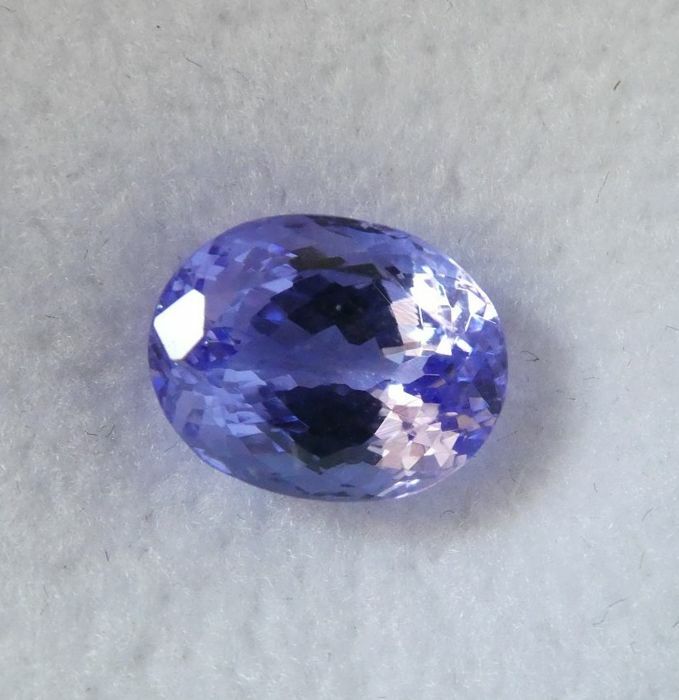 Treatment: Tanzanite is commonly heated to improve its color. 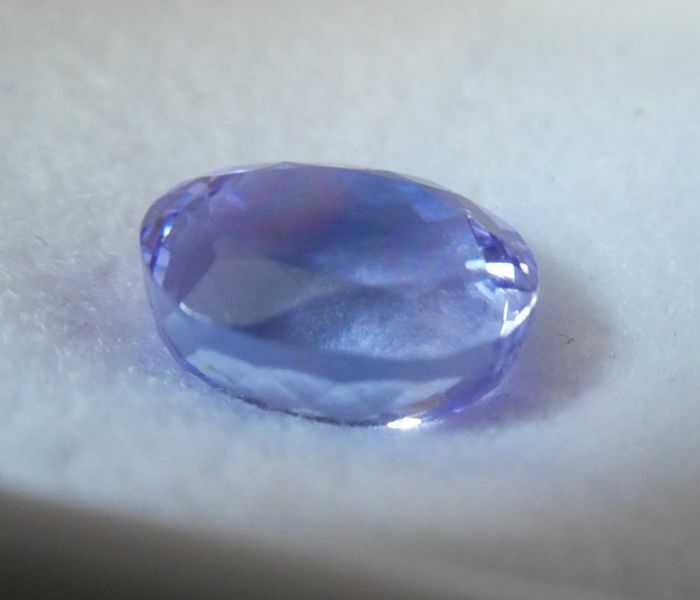 Wether or not this gemstone has been enhanced by heating cannot currently be determined. 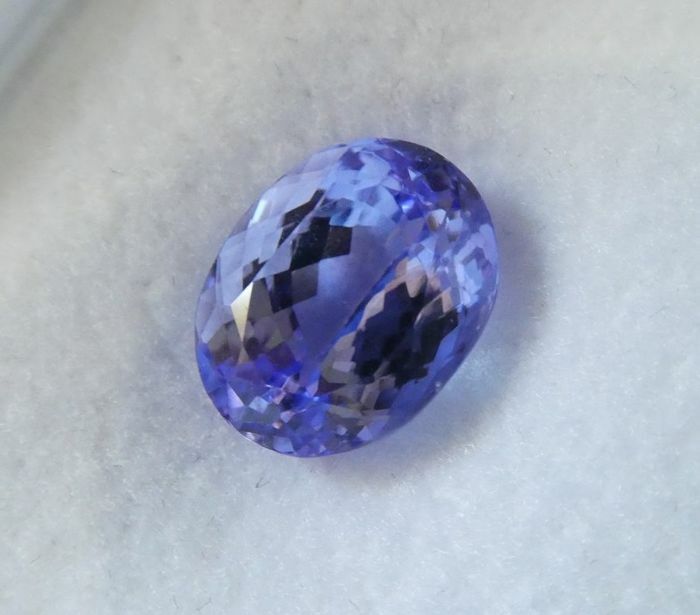 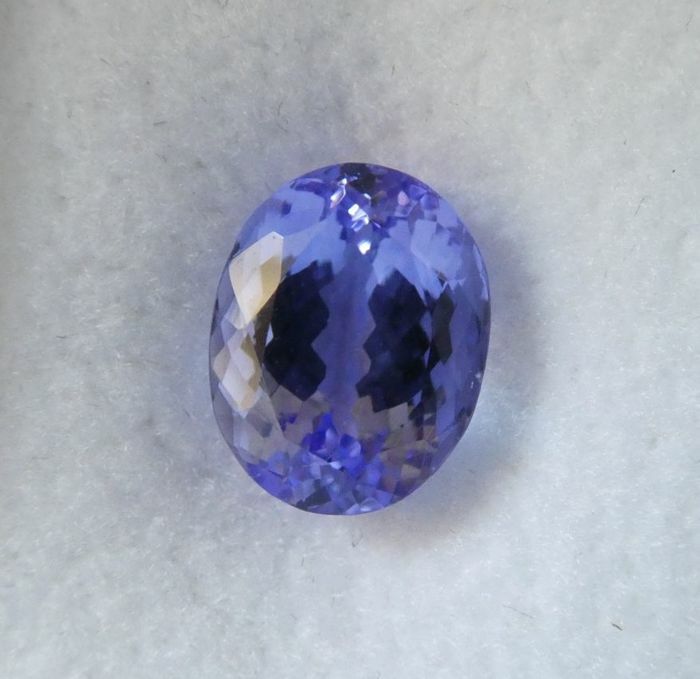 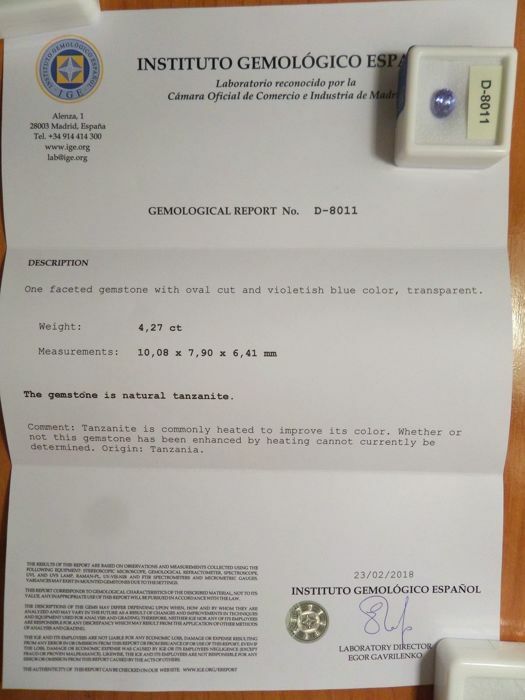 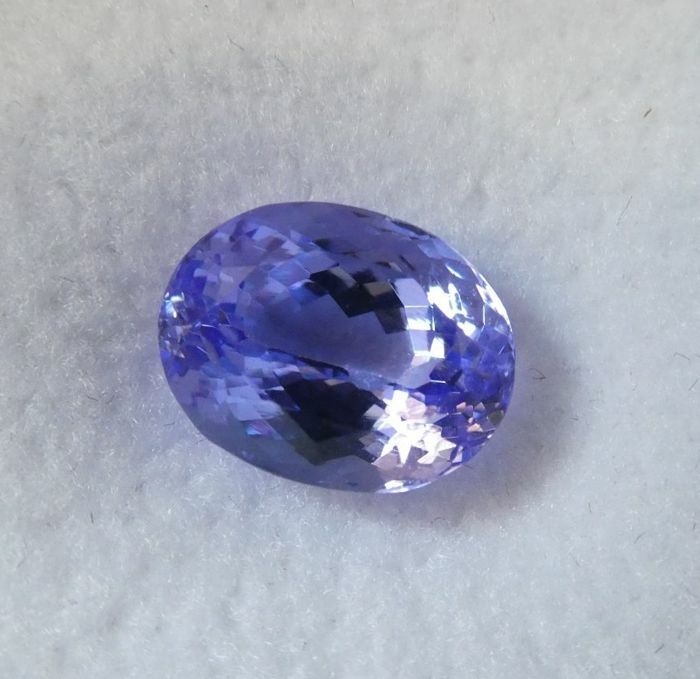 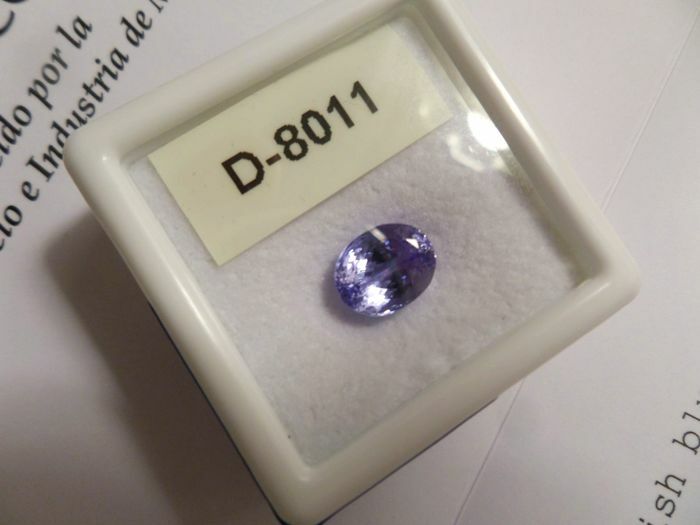 Auctioneer Note: All Tanzanite is generally accepted to be from Tanzania as this is the only gem quality source.